Students and staff supported Safer Internet Day this week and joined the global campaign to promote the safe and responsible use of technology. 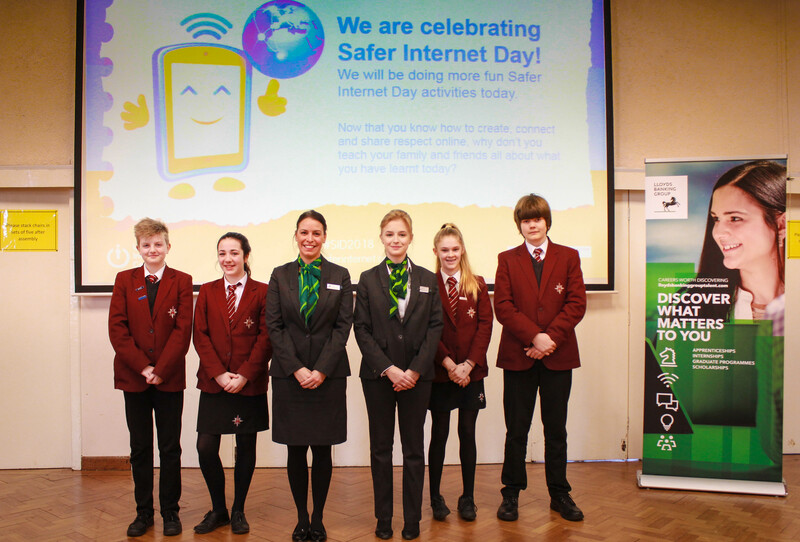 Coordinated in the UK by the UK Safer Internet Centre, Safer Internet Day took place on Tuesday 6th February 2018 with the theme ‘Create, Connect and Share Respect: A better internet starts with you’. To celebrate the day, students were asked to pledge what they will do to make the internet a better place. The most common pledge was to post positive comments and to report anything bad they see online. 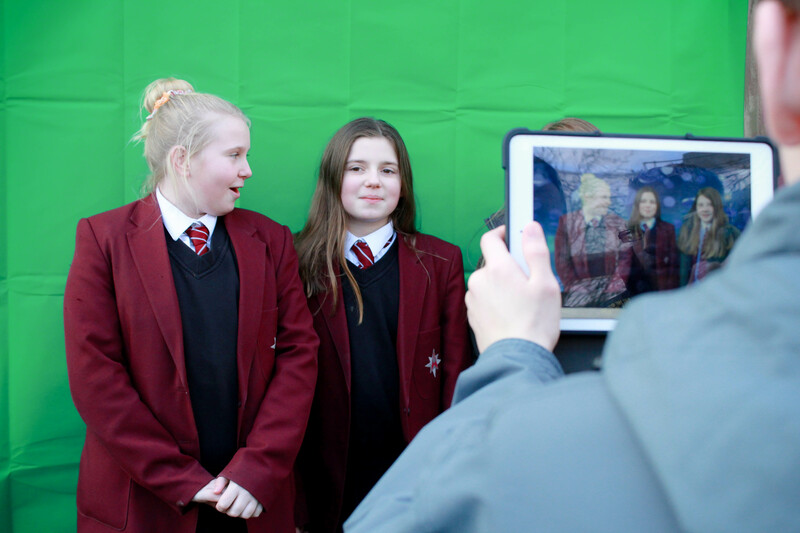 Students also got involved by sharing their online experiences via a green screen activity over lunchtime. Miss Milligan, IT Manager, recorded students’ responses to what they do online and for how long, as well as gather some handy tips to staying safe whilst online! The video can be viewed here. Arnewood also had a visit from Lloyds Banking Group, supporters of Safer Internet Day, who delivered assemblies over two days to year 7 – 10. In these assemblies students were asked about their online habits, what apps they like to use as well as sharing ideas on how to make the internet a better place.